The String Academy of Wisconsin will present two recitals this weekend which you are cordially invited to attend. Saturday, November 7th at 1:00 P.M – The first performance is at the new East Library and takes place in the Ellipse Community Room. The recital will feature solo performances by String Academy students and also an opportunity for young children to try out small-size instruments just for them! East Library is located at 2320 N. Cramer St., and is Milwaukee’s newest public library – with incredible architecture, art work, and new community programs. It’s a great opportunity to see what this library has to offer. 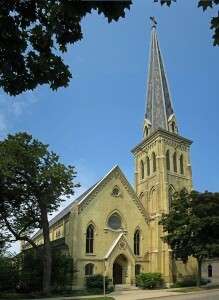 Sunday, November 8th, at 2:00 P.M.– We will present a special Honors Recital at the beautiful Cathedral Church of All Saints located at 818 E Juneau Ave in Milwaukee. Students who have been nominated by faculty based on past performances are showcased in this recital, accompanied by pianist Steven Ayers. There will also be an opportunity to bring your used books as a contribution to the All Saint’s Great Hunger Book Sale. Last year the sale grossed just over $19,000, and supports hunger funds in our own community and around the world. There is no admission or ticketing required for either of these recitals, so please bring your friends or relatives and come join us!